Nvidia Graphics Cards: Which One Is Right for You? If you’re thinking about buying a graphics card 5 Things You Have to Know Before Buying a Graphics Card 5 Things You Have to Know Before Buying a Graphics Card Here are five key points to keep in mind before you buy your next graphics card, otherwise you may regret your purchase. Read More , there’s a good chance you’ll buy from Nvidia. These cards have a strong hold on the market because of their phenomenal performance and excellent prices. But which one should you buy? 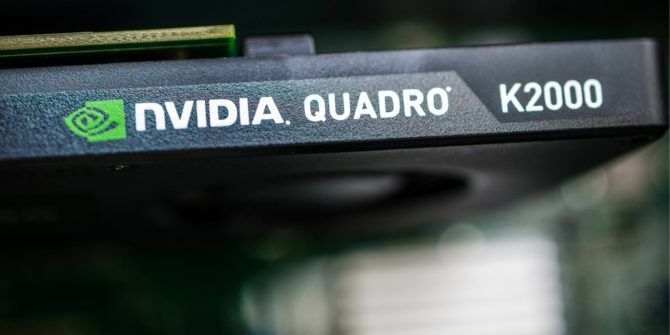 What’s the difference between GeForce and Quadro? How much of a performance boost will you see going from a GTX 1070 to a 1080? What’s Pascal? When you’re done reading this article, you’ll have a solid understanding of the different Nvidia graphics cards. And if you’re looking to build or upgrade your PC you’ll know which one to buy. Unless you work professionally with graphics or rendering, you might not even know that Nvidia has multiple sets of cards. The GeForce cards are classified as gaming graphics cards, while the Quadros and Teslas form the lesser known “workstation” line. What’s the difference between these lines of cards? Both price and gaming performance. The workstation graphics cards are very expensive because they’re optimized for professional-level graphics. The GeForce line comes optimized for gaming. If you want to get into the different technical specifications, there are a few differences. For example, the Quadro P5000, the second-highest in the lineup, packs 16 GB of memory and a bandwidth of up to 288 Gb/s What Is High Bandwidth Memory, and Do You Really Need It? What Is High Bandwidth Memory, and Do You Really Need It? What is High Bandwidth Memory? What problems will it fix, and do we really need it? Read More . The GeForce GTX 1080, also the second-highest in its lineup, has 8 GB of memory and a bandwidth of 10 Gb/s. Reading that, you might expect the Quadro to dominate in gaming. But you’d be wrong: benchmarks show that the GeForce outperforms it. Why? It likely comes down to driver optimizations. The GTX 1080 focuses on gaming so it can do a lot more with lower specs. Of course, you can game on a Quadro or a Tesla. But you’re likely to get slightly lower performance at a significantly higher cost. The Quadro P5000 costs $2,500 on Newegg, whereas you can probably get a GTX 1080 for around 600 bucks. The situation with Tesla is similar. The short version: Unless you’re a video producer How to Learn Video Production for Free Online How to Learn Video Production for Free Online Want to learn how to edit and produce videos? The Internet has a wealth of free information and here are some of the better resources to get you started! Read More , medical imager, 3D renderer, or high-level virtual reality designer, you want GeForce. But which one? There’s also the Nvidia Titan X card, which isn’t branded as GeForce at all. The lineup is simple. From top to bottom, it goes Titan, GTX, GT, and no-prefix cards. The Titan can run up to over $2,000 with non-reference hardware. On the other hand, you can grab a lower-level GTX card for just over $200. The short version: If you’re gaming on a desktop, you want a Titan or GTX card. When looking at different Nvidia graphics cards, you’re going to come across a lot of different terms. Some of them are standard for graphics cards, but some of them are unique to Nvidia. Here are a few key terms that you’ll probably want to know when you’re shopping around. The microarchitecture of a GPU determines how the different components work together to process information. It includes things like buses, caches, buffers, instruction queues, decoders, and all of their connections. Nvidia’s latest architecture, named Pascal, has been touted as the most advanced in gaming. This is, of course, marketing speak. However, when Nvidia comes out with a new architecture, it consistently shows increased performance with a lower power cost. Pascal, they say, packs up to three times more performance than previous-generation cards. That means your games look better without your card generating as much heat or drawing as much power. Some games include support for these technologies, so if you’re looking at playing a particular title, you may want to make sure the card you’re thinking about buying supports this tech. Much like PhysX, ShadowWorks, and HairWorks function with specific games, G-SYNC works with specific monitors. Put simply, G-SYNC makes sure your graphics card and monitor are working well together. 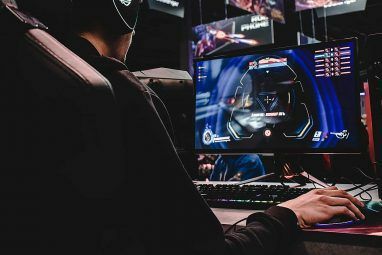 It smooths out gameplay and reduces the likelihood of screen tearing 5 Common PC Gaming Problems (And How To Fix Them) 5 Common PC Gaming Problems (And How To Fix Them) Many people still enjoy consoles, and it’s easy to see why. PCs are more complex and lack standardized components, which means there’s no guarantee a game will run, or run well. Read More at refresh rates What Is Refresh Rate? What Is Refresh Rate? Read More of up to 240 Hz. In short, if you have a G-SYNC-compatible monitor, it’ll improve the visuals of your gaming. The Scalable Link Interface (SLI) is a propriety Nvidia technology. It lets you use up to four different GPUs in tandem. SLI with two beefy graphics cards can play the newest games on the highest settings. You’ll need an SLI-compatible motherboard to make this work, and it’s not cheap to buy two cards. However, knowing that you can upgrade instead of purchasing a new card is something to keep in mind. This piece of software helps optimize your graphics card’s performance. New drivers are released to ensure that your card is ready to play the latest games as soon as they come out. Your system is analyzed, and game settings 7 Common Video Game Graphics Settings Explained 7 Common Video Game Graphics Settings Explained Don't know what those settings on your video games are all about? Let us explain what they mean and how they affect your games! Read More are customized to make sure you get the best performance. You can share clips and highlights directly to social media. And you can stream your PC games to your Nvidia Shield portable console. Which Nvidia Graphics Card Should You Buy? It’s obvious that if you want the absolute best in gaming, and can pay for it, you should buy the Titan X. It beats everything on the market (at least until AMD’s Vega arrives). But what if you can’t drop $1,500 on a graphics card and you’re looking to make the most of your money? Here’s how the GeForce GTX 10-series cards break down. A couple notes: prices will vary depending on the manufacturer (we’ll discuss that in a moment), but we’ve tried to give you an average price. You could pay up to $100 more or less than the price listed here for an expensive card. The benchmarks reported are from VideocardBenchmark.net and are derived from thousands of users using their service to benchmark their own hardware, so keep those things in mind. The flagship model of the GTX series packs crazy-fast GDDR5X RAM and blazing memory speed. That results in a phenomenal performance benchmark for less than half the price tag of the Titan X, giving you a fantastic option for no-compromise gaming. Benchmark performance: 92% of Titan X. The GTX 1070 is a big step down in price from the 1080, but the difference in performance is likely to be negligible for all but the most intensive gaming. GDDR5 RAM is still super fast, and the memory speed is remarkably high. But the price tag is much more manageable. Benchmark performance: 92% of GTX 1080, 85% of Titan X. This is the card that brings Nvidia’s GeForce line into the more reasonable price range. With very respectable specs and a non-wallet-busting price tag, this is going to appeal to a very wide range of people. Even though it’s more affordable, it’ll still run today’s newest games. Benchmark performance: 80% of GTX 1070, 68% of Titan X. Note that the image above is the GTX 1050Ti produced by EVGA as Nvidia didn’t make an own-brand version. If you’re building a gaming rig on a tight budget, the GTX 1050Ti should be near the top of your list. It’s a jump down from the 1060 in RAM and speed, but for the price, it’s a solid card. There’s just not much else you’re going to get for this much money that will come close. In fact, it has one of the highest performance-to-price ratios on VideocardBenchmark.net. Benchmark performance: 67% of GTX 1060, 46% of Titan X. Note that because there’s no Nvidia-branded version, the image above is EVGA’s card. To save a bit more cash, you can go with the non-Ti version of the GTX 1050.The performance-to-price ratio is higher than the Ti version. You even get a slightly higher boost clock speed. Even though it only has 2 GB of RAM, it’s GDDR5, and will likely support some moderate weight lifting. Benchmark performance: 88% of GTX 1050Ti, 40% of Titan X. If you’ve already started budgeting out your gaming build or graphic card upgrade, you’ll probably already know which card is in your range. If you’re not sure how much to spend, though, check out the recommended system requirements of the games you want to play. That’ll give you an idea of how much you should spend to get the best performance out of your system. If you’re looking for the most performance for the least money, the GTX 1050 is your card: it has the highest performance-to-price ratio of any 10-series card. And if you can spend a bit more than that, the GTX 1060 is a solid bet for all-around performance. While Nvidia does produce a few stock version of its cards, other companies handle most of its production. You’re likely to get a better price and even more improved performance from one of these third parties. EVGA, MSI, Zotac, ASUS, Gigabyte, PNY, and other companies modify the cards and sell them with different fan configurations, built-in overclocking How to Safely Overclock Your GPU to Gain FPS How to Safely Overclock Your GPU to Gain FPS Overclocking can make your PC perform at clock speeds one generation above its release. If done right, it's safe and easy. We'll show you how to get a GPU performance boost for free. Read More , various clock speeds, and other minor changes. For the most part, they aren’t going to make a huge difference. Find the card you want, then find a vendor that provides a reliable cooling system for a good price, and go with that one. You can compare specific clock speeds and cooling systems, but beware: you can go down an endless black hole of people arguing over which non-reference cards are better. Unless you need absolutely world-beating performance, it’s not worth your time. Now that you understand why you should stick with GeForce cards, the particular technologies they come with, and the difference between the various options, you should be able to pick the right Nvidia graphics card for your needs. Whether you’re building up a new PC or upgrading an old one, you can’t go wrong with Nvidia. So look at some options, make a purchase, and get to it! 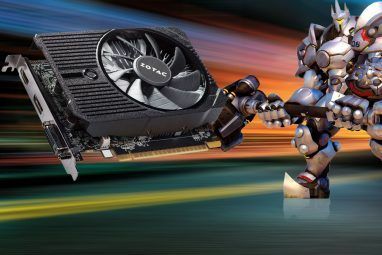 Which factors are important to you in selecting a graphics card? Where do you think Nvidia excels or lags behind AMD? Share your thoughts in the comments below! For people who will go to the comment section to see other opinions. Nvidia is not the only way to go. No the prices are not great, in fact they are very high. No they don't out perform in every segment. On the very high end which a small fraction of people will buy yes there is nothing better. But in the low to mid range AMD cards have actually all overtaken the Nvidia cards they we're up against. Rx 470 vs 1050ti. Rx580 vs 1060. Rx 590 vs 1060 6GB. Even up to Vega 56 and 64 beating out 1080 and 1070. The 2000 series of Nvidia has put out has astronomical prices and only should be considered if you want a single feature that is in literally 2 games and a few tech demos. We haven't even talked about Radeon prefessional series graphics which are cheaper and just as good if not better in some cases. Most times I don't comment and I'm sure the author will say he wasn't trying to do a comparison article because he thinks Nvidia is what everyone has already decided on. If you keep down this road and don't even consider other options the crazy price hikes that Nvidia is doing will only continue. Never look at one brand and mistrust anyone who won't at least tell you the other options. This article seems very vague on the merits of Nvidia vs AMD. I feel mentioning performance per watt and VR advantage (and, conversely, DX 12/Vulkan and compute disadvantage) would make your dismissal of AMD a little more understandable. Mentioning the RX 470 and pointing out the difference between the 1060 variants would help, as would a summary of power requirements/PSU information since that can play a big part in these choices. Well, as you can probably tell by the title, it's not about Nvidia vs. AMD. It's about which Nvidia card is best, so it's mostly for people who have already decided on Nvidia. And because Nvidia cards are significantly more common than AMD, I thought it made sense to stick with a single brand. The title is pretty clear. My apologies. The part that prompted the AMD part of my response was in the last section, "Now that you understand why you should stick with GeForce cards[...]" I'm assuming this is reference to nVidia GeForce vs AMD Radeon, though my apologies if it is nVidia GeForce vs nVidia non-GeForce [read: Titan], although that would probably warrant a little more explanation. This is an informative read, but with this level of detail, not mentioning the 1060 variants seems potentially buyers' remorse inducing. 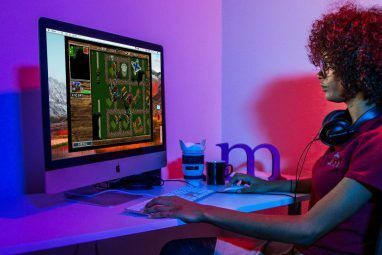 Again, some mention of PSU requirements would convolute the article a little, but people considering this range of graphics cards will need to brave those waters. Ah, I see what you mean. To be honest, I was thinking more about the AMD cards when I wrote that last sentence. GeForce cards tend to outperform AMD at the same price point for their mid- and high-end cards, which are the ones that most gamers are going to be looking at. And I did think about discussing different 1060 variants, but there are so many out there that I didn't want to start wading into those waters. That could be an entire article in itself! For the average gamer, I don't see most of the variants making a huge amount of difference. If you need to squeeze every bit of power out of every watt, optimizing your 1060 choice is a good way to go. But most people, I think, won't notice a whole lot of difference between them. Do you think that certain variants are notably better than others? You bring up a good point about the PSU. I left most of the discussion of those considerations for my article about choosing all of the components of your gaming PC. Maybe I'll write a new article on considerations for upgrading. That seems worth writing about, too. There's just so much to talk about around this topic! In the current generation, I think nVidia is a big winner because its low end and midrange cards are a lot more power efficient. This means that they need less drastic cooling solutions and make less noise than price-comparable AMD products, and they'll probably have longer lifespans as well. I have a 4k monitor and a pair of GTX1070s. Mostly, my opinion on performance in that hardware configuration is that I'm pretty off switching my screen to 1440p than throwing more money at trying to get perfect (minimum 60fps, all detail settings max) quality at 4k. I'm a particular fan of the $100-ish GTX1050, which can be fully powered from a PCIe slot and allows for respectable gaming performance at 1920x1080 or nearly ideal 720p gaming. For a $100 upgrade on almost any desktop, that's a solid bet. I do think AMD OpenCL is a better overall computing platform for a lot of GPU Computation tasks, but I found it easier to find functioning software for HEVC encoding with contemporary nVidia hardware, and that's my biggest GPU compute need, so it's really hard to say anything nice about AMD video hardware at the moment. I'd just like to add that obvious typos are the result of swipey text entry on a mobile device rather than a proper keyboard and also that the specific tool I use for HEVC encoding is MediaCoder, which I could not recall at the time I made that post. MediaCoder on NVenc is around 12x the speed of a Handbrake encoding session, even on a 4GHz Haswell-E Xeon rig. While I'm at it, for gamers looking for a good 1080p experience, a single GTX1070 is probably future proof for the life of the current console generation; PC games right now are constrained more by developers targeting Xbox and Playstation capabilities, so as long as there's enough GPU RAM for whatever extra texture packs you're running, even a modded console port (e.g. Fallout 4) isn't going to tax your system all that much, even if you're playing the game across two screens. The only folks who really need the GTX Titans and 1080s are the ones who are trying to play at 4k or have some kind of non-gaming computational need, like my aforementioned interest in converting terabytes of video to space-saving h.265 or running Folding@Home clients or the like. Yes, the 1070 is really solid choice. It's still quite expensive, but if you want to put off buying another card for a long time, it could be worth it. The 1050 is a phenomenal deal, and the 1060 sort of splits the difference. The biggest win for the 1060 seems to be in size and wattage. IIRC, the 1060 comes in single slot variants with low profile models on the way or already out. For small form factor builders, Nvidia seems to be the only real choice if you want performance and have a specific wattage target that often comes with SFX PSUs. If I were seriously concerned about power utilization, I'd probably look at the GTX1050, since it doesn't need an extra PCI-e power connector and will run on a very modest SFF power supply or PogoPlug-style laptop transformer. Sure, they're constrained by texture memory, but I'm guessing someone who is building an SFF/low-power gaming system (seemingly your area of principle interest) is probably going to be OK with smooth 720p performance, which is exactly what those cards will deliver. It's not like you're planning to put two of them in your ITX PC anyway. Yeah, the 1050 is a great option if you need good stats on power utilization or price. If you don't need super high performance, it's really tough to beat! Thanks for the reply. It looks like I mixed up the 1060 and the 1050. It's the 1050 (and TI) that comes in low-profile and single slot versions. As you say, the 1050TI is a powerhouse for its size, price, and wattage consumption.